Birders on the prowl for woodpeckers, wrens and Rufous hummingbirds on Whidbey Island are bound to run into Craig and Joy Johnson. Maybe not in person, but perhaps on the proverbial trail as they browse the birding brochures, books and DVDs that the Freeland couple has produced over the past dozen years and given away to schools, libraries, visitors’ centers and conservation groups. Craig Johnson is known for his vivid photographs, video and watercolor drawings of birds. Joy Johnson is a writer, former childhood educator and skilled at finding audiences and outlets for their work. But their roles are more tandem than separate as they write, record, narrate, edit and produce books, videos and maintain social media sites. They’re not in it for the money. It’s a mission. This past weekend, the Johnsons received the Jan Holmes Island County Volunteer of the Year Award, an annual recognition given by Sound Water Stewards of Island County, WSU Extension and Island County Marine Resources Committee. Sound Water Stewards is one of many Island County organizations that have benefited from the Johnsons’ passion, persistence and willingness to devote their time and talents toward the preservation of healthy land and water. Some groups have underwritten specific projects to pay for production costs. Others include Whidbey Audubon Society, Whidbey Camano Land Trust, Friends of South Whidbey State Park, Swan Lake Watershed Preservation Group, Greenbank Farm, Pacific Rim Institute and WSU Extension. The couple, married in 2001, are together all the time of late because health issues prevent both of them from working outside their home. But they’ve figured out how to continue pursuing a mutual passion of the outdoors and education through the visual arts. Around 15 years ago, their hikes started to involve less walking and more standing around craning their necks skyward. Craig decided to try photographing the birds so they could identify them later at home in books. 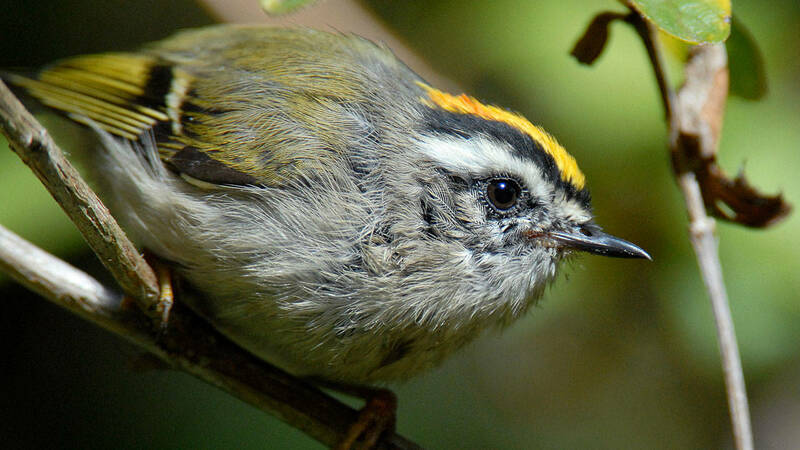 When Craig became active in the Whidbey Audubon Society, he offered his bird species photos to the club for informational material. Soon, he was approached by other environmental groups. That led the Johnsons to put together presentations informing people young and old about what birds need in the environment in order to survive. “He’s very artistic so the driving force has been his endless creativity and energy flowing from him,” Joy said of her husband, housemate and collaborator. The Johnsons’ latest video, “Birding Whidbey Island,” visits 21 birding locations stretching from Deception Pass to Possession Beach. It features 125 different species of birds, and a few mammals, seen at parks and locations that are accessible to the public. It gives a fascinating summary of the diversity of species — from white pelicans to Pacific wrens — and explains their habits and habitats. The 63-minute film will be shown at Langley’s Clyde Theatre at 2 p.m. March 24 and 31. “The movie will help everyone, not just birders, see the island through a different lens,” Craig said. Craig also created a series of colorful brochures with maps that pinpoint where to spot birds around the island’s beaches, bluffs, forests and wetlands. They’re given away free on Washington State ferries and other venues but sometimes they’re as hard to spot as a Virginia rail scampering through the Whidbey wetlands. “We can’t seem to keep the maps in the visitors centers or on the ferries. Pardon the pun, but they seem to fly off the shelves,” said Sherrye Wyatt, public relations and marketing manager with Whidbey and Camano Islands Tourism. As Craig’s degenerative neurological disorder worsened in recent years, and Joy faced her own health challenges, they stayed closer to home. His small, inexpensive camera was all he could hold while his paint brush became too awkward. But it didn’t stop their mission. They just looked in their own backyard off Bush Point Road. From a mobility scooter, Craig patiently aimed a lightweight pocket video camera at birds flitting around their feeder, fountain and underbrush and in and out of Douglas fir and Madrona trees. He captured 80 species of birds and meticulously strung the video clips together into a seamless, educational entertaining film. Called “Birds & Backyard Wildlife Habitat,” it features bird behaviors and teaches about the importance of leaving snags or dead trees in neighborhood yards for nesting and why raking leaves isn’t beneficial because it removes nutrients important for insects and birds. The backyard video also follows many bird behaviors, including the building of a nest by Rufus hummingbirds and witnessing the day-by-day activity of the babies until they fledge. Every pursuit, whether it be sitting at the computer, raising his arms to shoot video or spending hours perfecting the film’s narration, hurts Craig Johnson. His limbs go numb, at times he has trouble forming words, his head and back protest in pain. He rarely sleeps. Instead, at night, he spins his mind free to come up with other ways to teach, to inspire, to show the world how everything is connected. Since 2006, the Johnsons have produced a variety of books, brochures and DVDs, featuring Craig’s photos and illustrations. Most are out of print and have been given away for educational and conservation purposes. The free birding brochures are still available. Craig Johnson paints his watercolors, such as this Spotted Towhee, from his photographs.